Buying an Apartment in Sanya-BEWARE! Also be aware that even minor changes to the interior layout/architecture of apartments in new real estate development is forbidden!I.E room size,doors placement..etc.If you are going to buy it is best to buy and old place and remodel yourself. Remember in China that buying is the same as renting..the property still belongs to the developer who has complete control over any remodeling or refurbishing! Have you bought any apartment in Sanya yet? Thinking of buying a apartment there, any idea? My experiences in Sanya were all bad. The taxis cheat, overcharge, drive you to places far away from where you want to go etc.. The hotels seem to be set up for just chinese tours and when I was there the AC in the room was horrible and it was a four star hotel. The mosquitoes are horrible. Prices for everything were very high. GUEST05917 I have to say that I had a wonderful time in Sanya in april of this year. We stayed at Sheraton hotel, it has the most beautiful grounds and several swimming pools. the food is great and I did not see one mosquito or fly while I was there for 4 days. Sanya!!! Very beautiful and romantic!!! Nice. My gf and I, have the time of our life there. Sanya's People, very friendly eager to get to know you, if you are a tourist or a foreigner, they make you fill at easy and safe. City very modern and clean, of course no western toilets except in your hotel room only. You get a lot for your money, if you compare it to Europe, the Caribbean’s, South America or the Usa. Not a lot of westerners, but yes! a lot of Russians. To be fair the city is what it is thanks’ to the Russian tourist. The truth is that they, the Russians discovered first this beautiful paradise name Hainan province. Don't be shock to see that there are equal signs in Russian and Chinese and only a few in English. If they do, locals can speak better Russian than English. Beautiful beaches, hotels, golf courses, and a lot of sun. I don't blame the Russians but people are very cautious about fake money, a lot more detail at the banks than at the main land. Good supermarkets with a lot of western food like cheese, wine and cans from the Usa, west Europe and Asia itself. 2 good International airports one in Sanya, one in Hai kou and so are taxis and buses. By the way take plenty sun protection, not a lot of it in Sanya, Max is 35 spf remember, Chinese people use umbrella mainly and they avoid the direct sun much as possible. Yes, good international and Chinese restaurants, and so is mc Donald’s and kfc. If you don't go to Guangzhou, Sanya is a good place to buy stuff and gifts. Do you like pearls???? Then you like Sanya. GUEST45131 I bought 3 apartments here. GUESTGL How much are your properties. I bought 1 condo along sanya bay for RMb 1750000 with 90+ m. Is it reasonable. It's partially facing the ocean. My wife like it as a retirement/ vacation home. From the kitchen window, I can see the pheonix airport. Here in America, it cost 2 - 4 (say, hi-end south Florida condos) times as much but of course they are much more luxurious. We'll be in sanya in March to get the key and check out the city. I'll cross my finger. hope everyting turn out ok.
GUEST23170 How did you buy the apt in Sanya? I thought foreigners are not allowed to buy property in China since 2006 unless they have worked here for over a year. Also, there's is a limit of $50k per person per year for currency conversion to RMB. GUEST85298 I am interested in buying an apartment there too. What is the procedure? Do you have any realtors can be referred to me? Do they take US dollars? 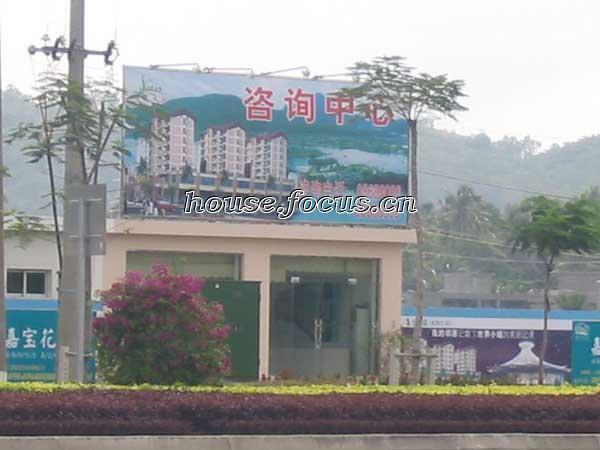 Post a Reply to: Buying an Apartment in Sanya-BEWARE!